The state AP FiberNet is all set to roll out the digital transformation. Andhra Pradesh will be a trendsetter in digital connectivity. The sunrise state of Andhra Pradesh will soon steer a revolution in the form of knowledge power through the Fiber Grid project. The infrastructure for AP Fibernet will take a shape soon and the project is expected to start by Sankranti festival. The Internet, Cable TV and telephony services will be provided at the doorstep through the project. The first phase of the Fiber Grid project was launched in Visakhapatnam in March 2016 and very soon this technological revolution would reach the entire Andhra Pradesh. 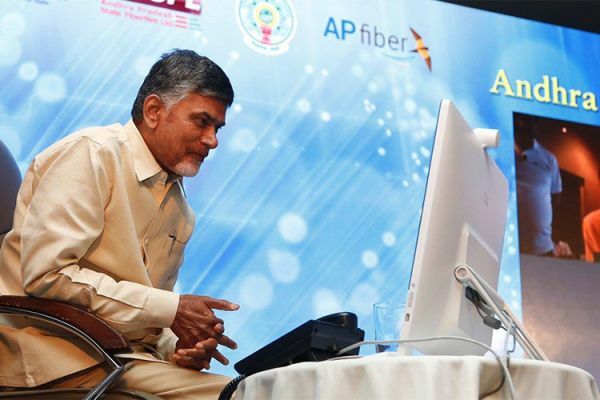 As per the reliable sources, the AP Government led by Mr N Chandra Babu Naidu has asked the functionaries to deliver the on-demand broadband connectivity via AP FiberNet as the Sankranti gift. The AP CM himself tweeted that the Government is providing the internet through AP State FiberNet Ltd at ₹149 per month for a 15 Mbps line to households and offices will get a 100Mbps line at ₹999 per month. 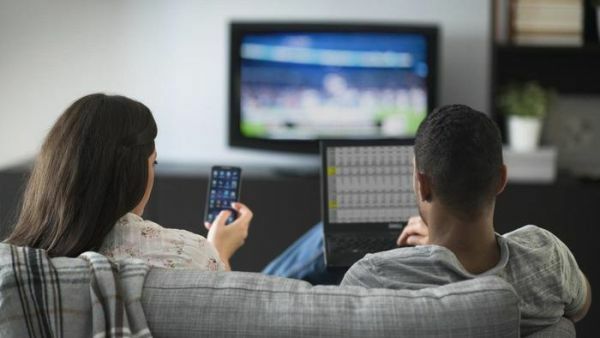 Apart from the high-speed broadband internet connectivity, each connection will get 150 free-to-air TV channels and telephone facility within the same cable network. As per the reliable sources of information, AP FiberNet will have a 51 series seven-digited phone numbers. To dial that number, one should add STD code of the location. AP Government will also provide free unlimited calls between the 51 series phone number. To this effort, Mori and surrounding villages in Sakhinetipalli Mandal in East Godavari district are being developed as smart villages by leveraging Digital Technology through AP FiberNet. The Andhra Pradesh government announced that the Information Technology and Investment Department would avail of a loan of ₹300 crore from the banks and another ₹100 crore from APMDC to purchase customer premises equipment boxes’ for which the state government would extend guarantee for the loan. In the first phase, 10 lakh people will get set top boxes. Prices of each of these AP STBs have been set as ₹4,000 instead of the commercial ₹14,500 in the open market. Customers purchasing the set top box at an outright price of ₹4,000 will be given the first preference. One can even purchase the STB by paying ₹1,700 and ₹99 EMI for the next 3 years. There is another option to get the AP STB by paying ₹500 as down-payment and ₹99 EMI for 4 years. The AP Government has already started importing the required STBs and would take another 7 weeks to get delivered. Thus, the AP State FiberNet is all set to roll out digital transformation on the eve of Sankranti Festival. The government plans to connect 1.3 crore households through AP FiberNet. Will the AP FiberNet ₹149 Internet be Worth it? Currently, the cable TV customers are paying a minimum ₹150 but the new AP State FiberNet promises to deliver 5GB of 15Mbps speed internet, 150 free-to-air channels and a telephone connection – all at ₹149 is an excellent value for the money if they promise to deliver the speed guaranteed. Definitely, this is a bold step to launch high-speed internet services at a throwaway price. Fiber optics is the future of internet and Google Fiber is the first one to realize its potential. Google may find it difficult to roll out Google Fiber in India but surely it can inspire many firms to start Digital India campaign. As it is always said, good to start with something new and gradually improve and innovate with the services. Let’s hope the AP netizens will rejoice at Naidu’s aim to transform Andhra Pradesh into a ‘digital state’.